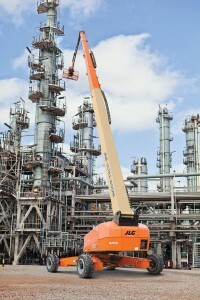 With almost 3 million cubic feet of reachable space, JLG Industries recently announced the world’s largest self-propelled boom lifts. Also called aerial lifts, boom lifts are used to lift construction workers, maintenance personnel, mechanics and others high into the air. 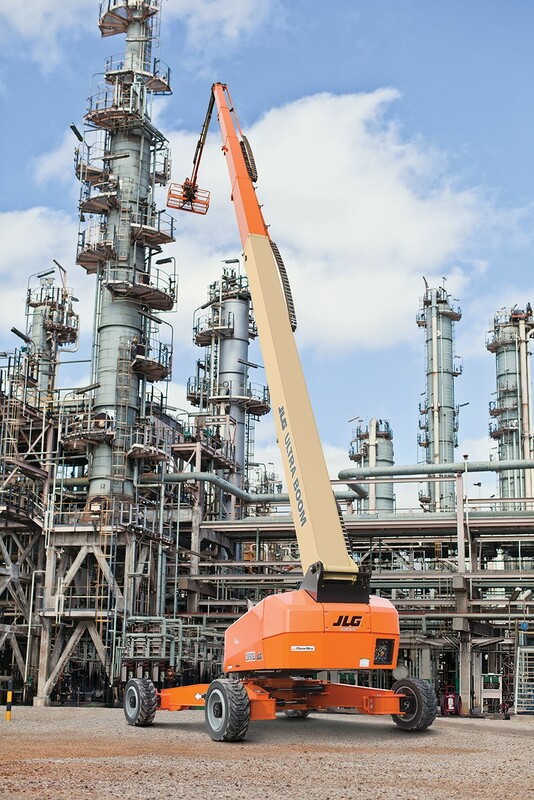 JLG’s 1850SJ Ultra boom is a super-sized addition to the company’s line of reliable, affordable boom lifts and aerial lifts. The 1850SJ goes 19 stories high. It will allow workers more access to more areas than ever before. Anyone interested in the giant lift can get a sneak peak at the CONEXPO March 4-8. The event will take place at the Las Vegas Convention Center, and JLG will be in booth #1037. With a max load of a half-ton (1,000 pounds) the new lift can hold more people, tools and cargo, which means more resources can be moved to a work area. Plus, the 1850SJ Ultra boom has faster cycle speeds, so the boom can extend from the ground to full height in less than 5 minutes – slow enough to transport workers safely, but fast enough to save valuable time on the job. Other features include a telescopic jib, improved LCD display with more information including service codes and other maintenance data. As you can see, aerial lifts can get HUGE. If your job requires you to use large lifts, CertifymeOnline.net is the only online training course you need. CMO offers a broad range of aerial lift, scissor lift and fall protection classes, along with other safety training. Our goal is to ensure OSHA compliance, whether you’re on a small scissor lift or extra-large JLG lift. We eliminate the cost and hassle associated with most training programs. Plus, our classes are super convenient. Just call (602) 277-0615 or visit the CMO contact page for more information. We’ve assisted small, medium and large-size businesses with their entire aerial lift, scissor lift and fall protection requirements. And thanks again for checking out the CMO blog! This entry was posted in Aerial Lift Training on May 7, 2014 by admin.